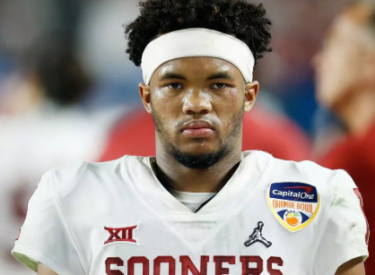 Kyler Murray, the first-round Major League Baseball draft pick and Heisman Trophy-winning Oklahoma quarterback, says he is declaring himself eligible for the NFL draft. Murray announced his decision in a tweet. The Oakland Athletics made the speedy outfielder the ninth overall selection last June and gave him a $4.66 million signing bonus. The A’s agreed to let him continue playing football, and he made the most of it by winning the Heisman in his only season as a starter for the Sooners.